This post is a part of the Wine Apps series, introducing different wine apps available on the market. In this series, I offer all the interested Wine App makers an opportunity to present their applications to the readers of this blog in a short and concise way. Today I would like to introduce to you the wine app called Winery Passport. 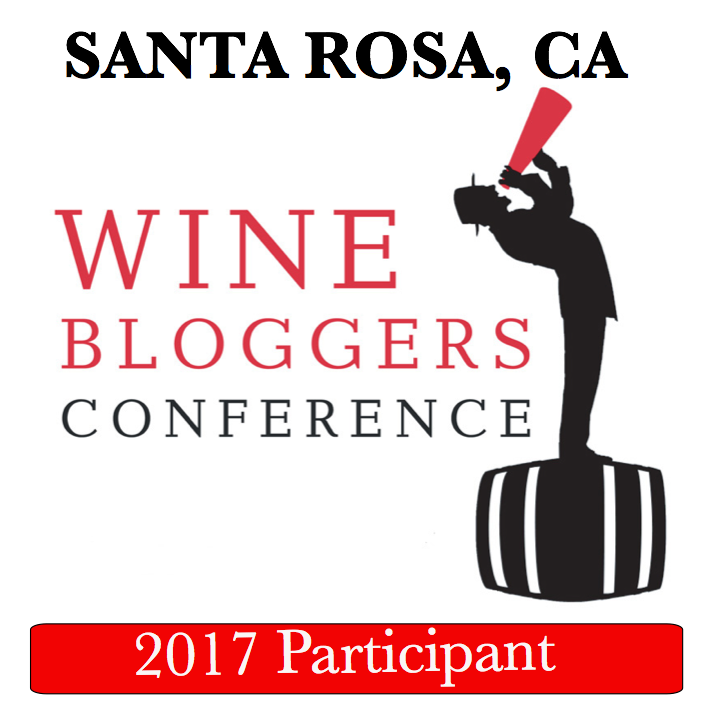 This blog post is written by Scott Stanchak, Creator of the Winery Passport application (you can follow Scott on twitter @ScottStanchak). Please note that this post is provided as is, strictly as a service to my readers and it doesn’t constitute my endorsement of the app. Winery Passport has been helping users discover tasting rooms at the wineries for almost two years. The mobile app, available for iOS and Android, came about when creator Scott Stanchak was at a wine tasting, but had forgotten his paper passport book. Instead of asking for a second one, he knew the passport should live on his most personal device. 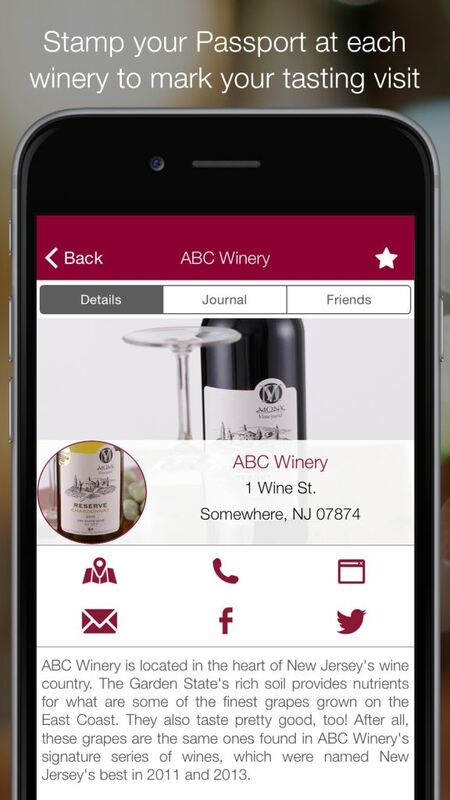 Winery Passport assists users in finding wineries (more than 5,000 of them) from across the United States and Canada. Users can view details about each winery and stamp their passport once they complete a visit, or add it to their wish list. Once a stamp is made, users can share the trip on Facebook and Twitter, to brag a little bit, of course. Users can store details about each tasting, including a winery rating, photo and favorite wines, in their winery journal. Then, if they connect with friends and family, they can share those journal details, or see the details from the others. This social component helps in the winery visit decision-making process – since there are so many to choose from. A user’s app experience doesn’t end once they’ve left the tasting room. Wineries they’ve stamped at, or have on their wish list, can send messages that land in the user’s inbox. These messages contain wine and tasting offers. A push notification lets users know when new messages are received. Winery Passport is currently available for free to download on iTunes and Google Play. I was back and forth on this post for a while. One one side, an experience is an experience, and it is worth sharing in the blog, as this is what it is for. On another side, what if the experience was not on par? Not on par with your expectations, not on par with what you thought it should’ve been – is that something worth sharing? Or is it not? I’m talking about an experience which was not bad – in general, bad experiences are worth sharing as you might help others to avoid repeating them, or at least you can shout to the world and feel better. The tough case is when the experience was simply mediocre, just an okay type – what do you do then? Well, I only have two options here – keep the internal debate going, or write the post and share the experience for what it was. Considering that you are reading this post, you already know what route I took, so let’s get to it. I live in Connecticut for more than 20 years. I’ve caught the wine bug at least 12 years ago. All these years, while I knew that wines are made in Connecticut, I never visited a Connecticut winery – and was actually kind of ashamed of it. During the summer of 2014, the opportunity presented itself, and I was very happy to finally get acquainted with the Connecticut wines at the source. It appears that modern winemaking started in Connecticut in 1975. 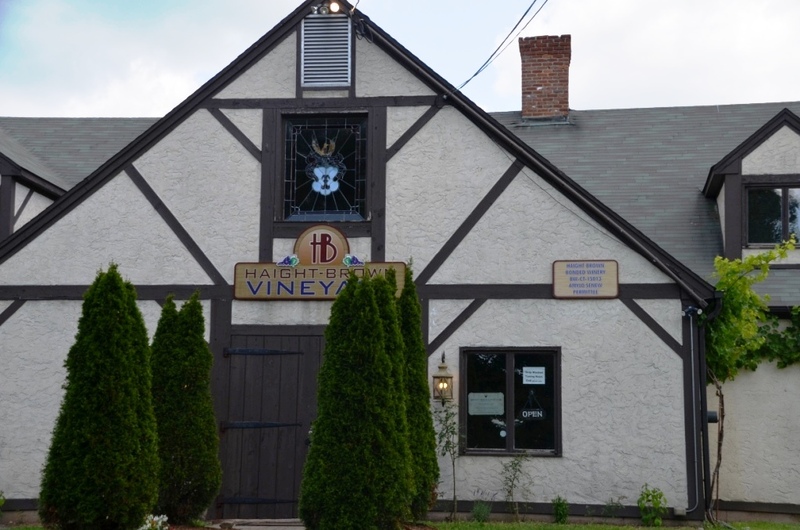 Haight Vineyards, now known as Haight-Brown Vineyards, was the first winery to open, and the first vineyard in Connecticut to successfully grow Chardonnay and Riesling. From there, the industry had grown to about 37 wineries in the state in 2014. While Connecticut is not a large state by all means, the wineries are located all over it, so you can only visit a handful of wineries in one day. Before we talk about wines and wineries, I want to mention an interesting program, called “Passport to Connecticut Farm Wineries”, which is a very smart way to get people interested in visiting more wineries than they otherwise would. 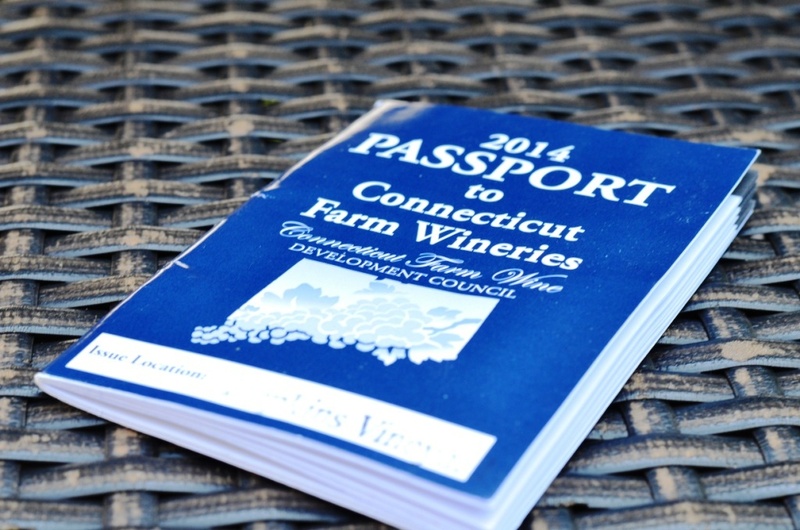 The Passport is a small booklet which lists participating Connecticut wineries and allows you to collect special stamps from all the wineries you visited. In case you are wondering, this Passport booklet can be picked up at any participating winery. New “Passport” is issued every year, and it is sponsored by the Connecticut Department of Agriculture. 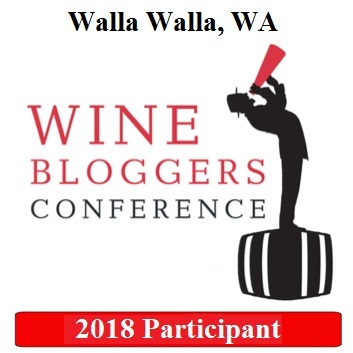 However, it is worth noting that to be listed in the Passport, each winery have to pay an X amount of money ($2,400 in 2014), and some of the wineries simply skip on participation as they don’t find that worthwhile. As you collect the stamps at the wineries you visit, you have an option to turn the Passport in by the certain date (it was November 16th in 2014). If you happened to collect all the stamps in the Passport booklet (i.e., visited all the wineries listed, 33 of them in 2014), you will be entered into a drawing to win a two week long trip for two to Spain. With less than a hundred people accomplishing it every year, your chances of winning are quite high. Also, if you will visit 16-32 wineries, you can still participate in the drawing for many interesting prizes. Prizes are good, of course, but even the sheer idea of collecting the stamps makes people to visit more wineries (works on yours truly as a charm). Okay, now – let’s talk wineries. We only explored 4 wineries during our trip in August, all located in the north-west corner of the state. As a generic note, most of the wineries in the Northeast grow mostly an American hybrid grapes (Vidal Blanc, Cayuga, Marechal Foch, Chambourcin and so on), with the addition of the traditional staples such as Chardonnay, Riesling, Cabernet Franc and Cabernet Sauvignon. Also, most of the wineries we visited charge $10 – $12 for the tasting ($12 tasting also includes the winery logo glass), which is not that bad. 2012 Hopkins Vineyard Vineyard Reserve Estate Bottled ($14.99, Seyval Blanc/Traminette) – nice nose, flat palate. Not recommended. 2013 Hopkins Vineyard Lady Rosé Estate Bottled ($15.99, Dornfelder/Lemberger/Pinot Noir) – nice, strawberries on the nose, crisp, but acidity is overbearing. Not recommended. Our next stop was a Haight-Brown Vineyards – the winery I already mentioned as the very first in Connecticut, opening its doors in 1975. The winery was known as the Haight Vineyards until 2007, when it was acquired and renamed into the Haight-Brown Vineyards. There you have it, my friends – my first encounter with the Connecticut wineries. Not a great experience – but still an experience, which will leave a memory mark. I would think that 40 years should be a good time period to figure out what works, what doesn’t, what grows well, and then make interesting wines – but it was not really the case. Yes, there are more wineries in Connecticut, and so there is a hope for the memorable wines to be found close to home. And by the way, if you visited wineries I mentioned, and had a different experience – let me know – may be it was a root day after all. Cheers!